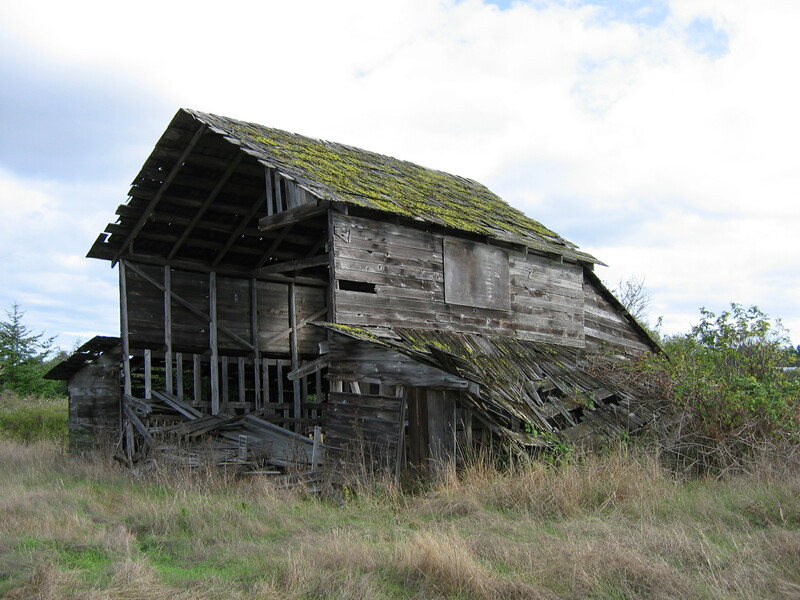 The San Juan Islands have had their toll of barns lost, whether through fire or decay, active demolition, or neglect. Many of them are listed below. Some are structures that were recorded as part of the San Juan County Historic Barn Survey and subsequently destroyed. Most come from information in archival records. We feel that it’s important to keep a record of what was here in addition to what remains, and would appreciate any help in remembering these ‘ghost’ barns that are gone but not forgotten. American Camp Barn, San Juan Island. Designated HS 9, this building was erected in 1867. It was 30’wide, 52′ long, 18′ tall, with stalls for 15 animals on the ground floor; the upper floor stored hay (Erwin N. Thompson, Historic Resource Study, San Juan Island National Historical Park, 1972, p.155). Anderson Barn, San Juan Island. The Anderson Barn stood near False Bay, to the southwestern end of San Juan Valley. Oriented east-west, it had a gable roof that enclosed a 23′ wide by 23’8″ long, 23’8″ high hay mow, flanked on each side by a 9’2″ shed. There was also a 15’8″ shed on the east gable end. The structure was composed of 6-8″ diameter log posts with log beams and rafters and milled skip sheeting and siding. There was evidence of a hay door as well as mangers and stanchions along the south side. Little is known about the builder or owner, but it was used by a local theater group for stage productions. Belle Vue Sheep Farm Barn, San Juan Island. 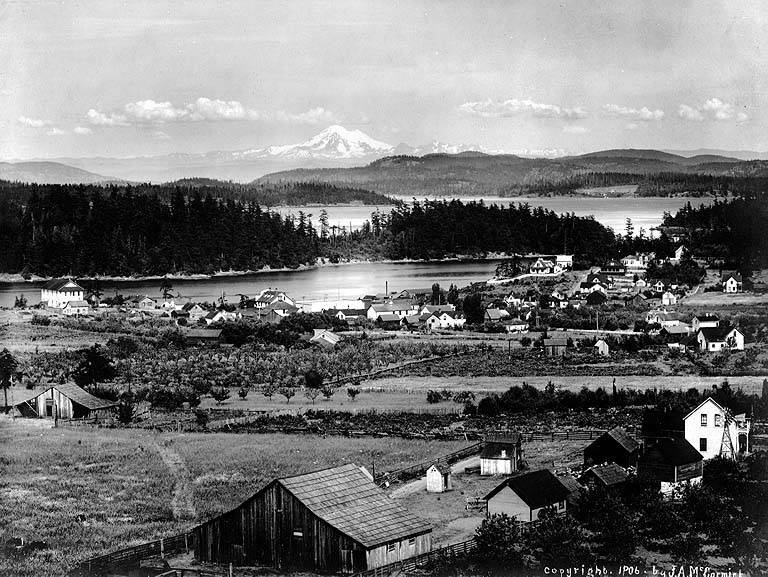 In December 1853, the Hudson’s Bay Company brought 1,369 sheep, as well as cattle and pigs, to San Juan Island. They constructed several “Hudson’s Bay Company Style” log barns on what is today American Camp. 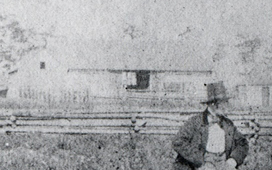 If you look over the shoulder of the man seated on the fence in the 1859 Northwest Boundary Survey photograph of the Farm, you can see the ghost image one of these barns. Note that it has an “English plan” with a center drive. Ivan L. Blair’s Chicken House, “south of Friday Harbor on State Road,” San Juan Island. Burnt to ground in 1924, along with 1100 little chickens and 60 old hens (Friday Harbor Journal 6/19/1924). Camp Nor’wester Barn, Sperry Peninsula, Lopez Island. 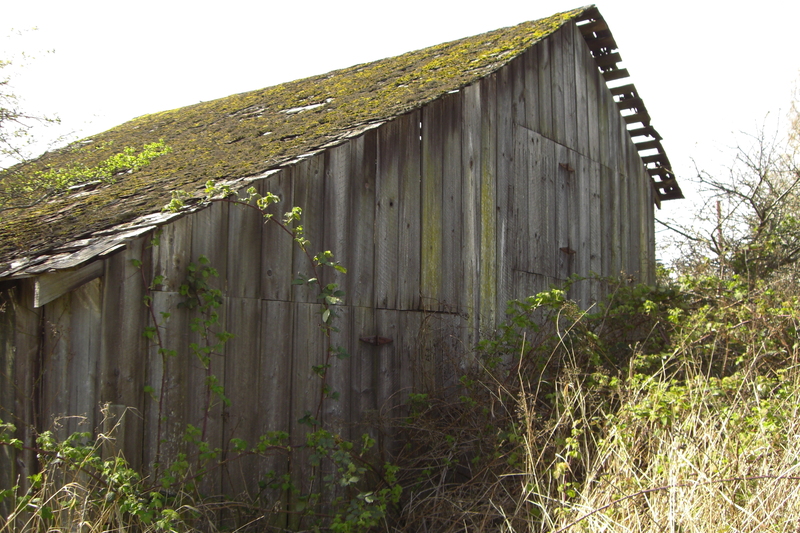 This single story, gable-roofed post and beam barn was built by Frank and Lucile Henderson as part of the camp that they established on the Sperry Peninsular of Lopez Island in 1946. It was used to shelter horses and other animals and was mainly composed of corrals with wood rails and included a tack shed. It was inventoried in 1997 as part of the overall Camp Nor’wester survey and subsequently demolished. C. Carrothers Barn, Mud Bay, Lopez Island. Barn and entire contents burnt; valued at $800, no insurance (San Juan Islander 9/7/1907). Frank Chase Barn, West Sound, Orcas Island. Burnt, cause attributed to children playing with fire nearby (San Juan Islander 9/22/1906). J.E. Davis Barn, Richardson, Lopez Island. On April 28, 1906, the San Juan Islander reported that J.E. Davis of Richardson was suing the Northwestern Mutual Company of Seattle for not honoring their policy on his barn; it had burned in October of 1905 with 300 tons of hay (San Juan Islander 10/14/1905). “Old Dougherty Place,” American Camp, San Juan Island. Purchased by Floyd Foreman: barn and several outbuildings burnt (Friday Harbor Journal 8/3/1961). G.B. Driggs Barn, Friday Harbor, San Juan Island. Probably built in the early 1900s by G.B. Driggs, this structure was demolished in 2011. Featuring a saltbox roof, it was constructed with milled posts and beams. The structure measured 24′ wide by 27’8″ long, including a 11’6″ shed, and was 18′ high at the gable. It has three milking stanchions in one corner, indicating that it was primarily used for dairy cattle. Erving Eaton Homestead Barn, Mud Bay, Lopez Island. 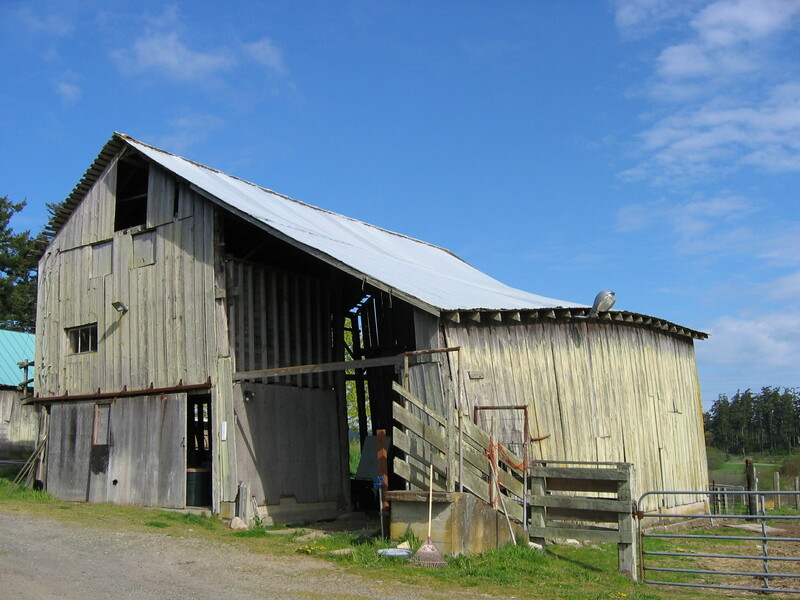 Recorded during a 1985 historic building inventory, this barn was subsequently demolished. Fir Oak Farm Barn, San Juan Valley, San Juan Island. Originally homesteaded by Peter Jewell in the 1870s, this farm was purchased by John P. Doyle in 1897. The barn was built in two sections. In 1896, a 30′ x 30′ gable-roofed central bay with 18′ shed wings to the east and west was constructed. Another 18′-long gable-roofed structure was added on to the north of this section in 1914. The barn was primarily used for dairy cattle, with 30 stanchions lining the central hay mow. It was demolished ca. 2003 after a storm brought the structure down. Wm. Fowle Barn, Argyle Avenue, Friday Harbor, San Juan Island. Burnt in 1913 (San Juan Islander 6/13/1913). Thomas Graham Barn, Richardson, Lopez Island. Thomas Graham of Richardson on Lopez Island lost his barn, along with fifteen cows, a pair of mares and 50-60 tons of hay in late 1905. The loss, which was estimated at about $2,000 that was not covered by insurance, made front page news in the November 18, 1905 San Juan Islander: “COWS AND HORSES BURNED TO DEATH”. A week later the newspaper, under the headline “FARMERS AID IN BUILDING BARN,” happily noted that Graham’s neighbors had raised $256 towards a new barn, concluding “The people of Richardson are all right.” An article elsewhere in the same issue added an interesting twist: it wanted to set the record straight to a rumor in the Bellingham Herald that the fire had been the result of arson because Graham was a County Commissioner who had recently voted to raise liquor fees. As the Islander pointed out, in fact Graham’s brother, William, was the County Commissioner, and the vote was unanimous, so this was clearly not the cause. Succeeding issues of the paper reported regularly on the progress of the new barn which he started in December, noting that by August of the next year the roof had been finished (San Juan Islander 11/18/1905). Ben Hannah Barn, Hannah Heights, San Juan Island. Johnson Barn, Stuart Island. Johnson and a man named Knopf built a barn (and dwelling) on Stuart Island in 1908 (San Juan Islander 8/29/1908); it is long gone. Katz Farm Barn, Old Town Lagoon, San Juan Island This barn used to be on the farm established by Israel Katz near the Old Town Lagoon, currently part of the National Park Services’ San Juan Island National Historical Park, American Camp. Katz first had a branch of the Port Townsend store Waterman and Katz at Old Town, then later at Argyle and eventually the Produce Exchange in Friday Harbor. The barn appears to have an English (center-drive) plan. Keddy Barn, Cady Mountain, San Juan Island. In 1908 a fire swept Cady Mountain on San Juan, burning a barn, built by the Keddys around 1870, fences, and shed near Alfred Lawson’s place (San Juan Islander 8/22/1908). James F. King Barn, Friday Harbor, San Juan Island. Historic photos show that the King Farm barn was a large, wood-shingled gable roof structure with a central hay mow and sheds that probably housed stalls for horses and stanchions for milk cows. There was also substantial post-and-rail fencing enclosing the barnyard. 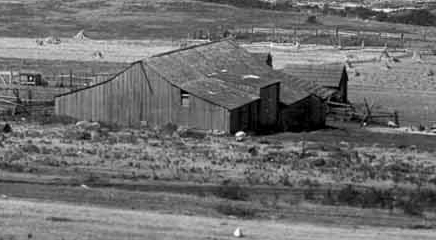 The structure was torn down in 1937 after George Pitman bought the farm from the Kings and built a new barn (see below). LaPorte Homestead Barn, Waldron Island. Louis and Louise LaPorte homesteaded a farm on Waldron Island in 1897; the property had a farmhouse, barn, and several farm outbuildings. The barn has subsequently collapsed. Richard Lawson Barn, West Valley Road, San Juan Island. Burnt (Friday Harbor Journal 7/6/1977). Ted Lawson Barn, San Juan Island. Burnt (Friday Harbor Journal 7/12/1973). Mathison Barn, Shaw Island. In 1910 a man named Mathison bought the Newton Jones homestead on Shaw Island to farm and built a house and barn. The barn was collapsed in the late 1980s. Oaks Barn, Portland Fair, San Juan Island. 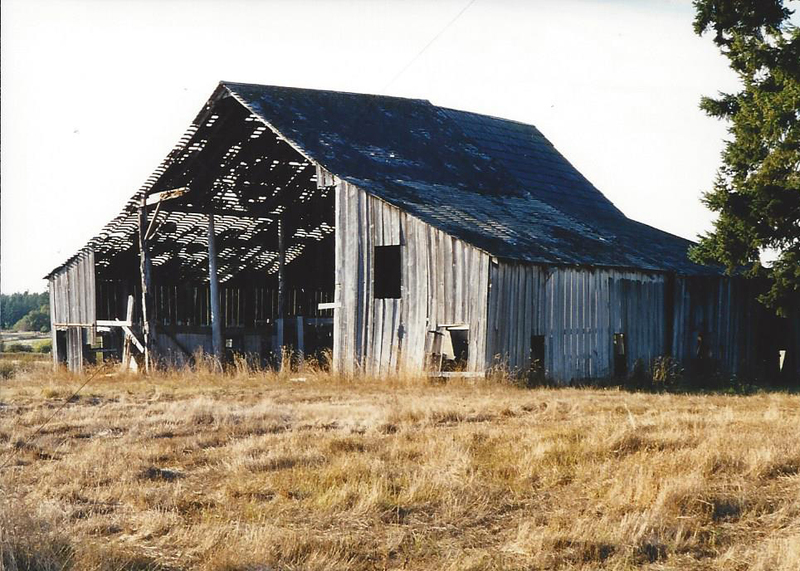 According to Etta Egeland, this barn was originally on the Dan Oaks homestead at Portland Fair, but was later moved across Cattle Point Road to the George Smith Homestead. Paternoster Barn, Doe Bay, Orcas Island. Barn, workshop, and fences, burned by forest fires (San Juan Islander 9/18/1902). George Pitman Barn, Friday Harbor, San Juan Island. In 1930, George Pitman bought the James F. King Farm, and in 1937 he demolished the King Barn (see above) and constructed a new, Gothic-roofed barn. 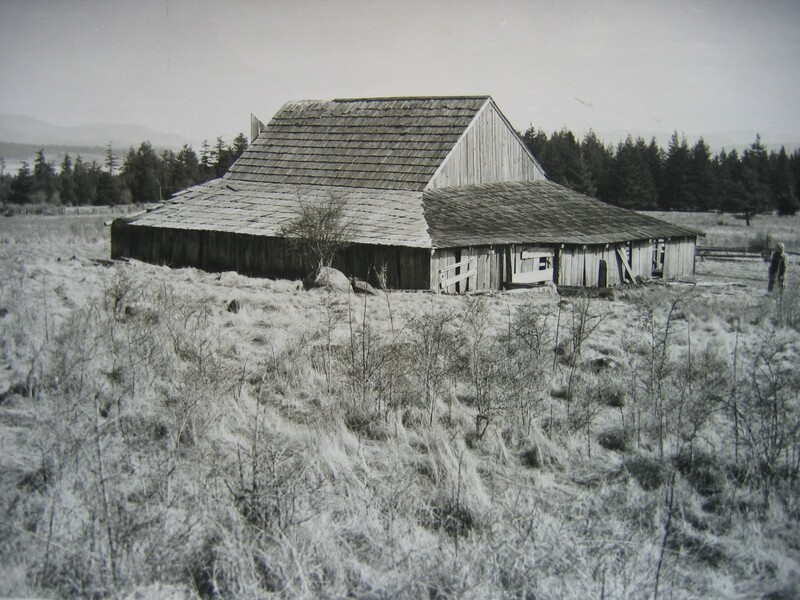 Unfortunately, on August 16, 1939 this barn was destroyed by a spectacular fire that could be seen from all over Friday Harbor; in addition to 50 tons of hay, the granary burned and two calves died in the flames. C.R. Salisbury residence, dairy, chicken house, and root house, Richardson, Lopez Island. Burned, valued at $700-800’ $275 insurance (San Juan Islander 7/25/1908). Isaac Sandwith Barn, Argyle Avenue, Friday Harbor, San Juan Island. Burned, valued at $250, no insurance (San Juan Islander 8/4/1906). Sandwith Barn, San Juan Island. Burned (Friday Harbor Journal 5/11/1931). San Juan Lime Company Barn, San Juan Island. From historic photographs, there appears to have been two barns in this location. The last one had a masonry foundation with a low door for access to some sort of basement space on the southwest corner. This may have been the “large barn”–“36 x 60 feet”–that the 7/14/1906 San Juan Islander reported that J. F. Sanders was building for C. Coghlan (the superintendent of the Cowell operations at Lime Kiln). The 28″ thick, 32’6″ wide by 61′ long foundation with its doorway still remains, but most of the superstructure, which was constructed of timber frame, lies in ruins. There also appears to have been a log ramp up to the main doors in the south gable end. There must have been room for both stables for the horses and/or mules as well as a hay mow. 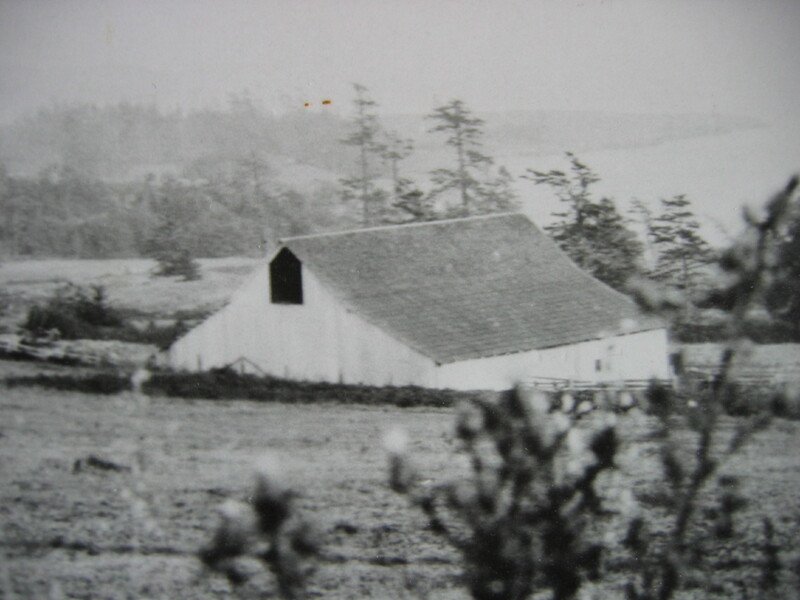 Mrs. H.C. Smith Barn, Kanaka Bay vicinity, San Juan Island. Built by Joe Groll in late 1911, “a new cow barn… 40 by 70 feet…arranged with patented stalls, which enables a person to care for the cows in every particular, without interfering with the other” (Friday Harbor Journal 1/4/1912). This barn apparently no longer exists. Wade Sundstrom Barn, San Juan Valley, San Juan Island. 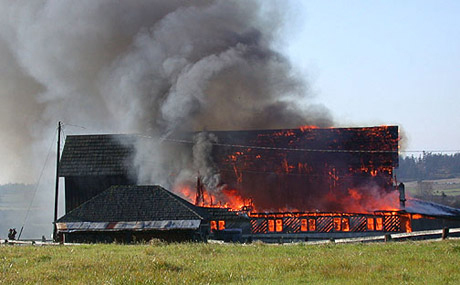 The Wade Sundstrom barn in San Juan Valley burned on November 11, 2004. Taylor Barn, San Juan Valley, San Juan Island. Probably built by John Taylor in the 1890s, this barn collapsed in 2014. It had a saltbox roof, with mixed log and milled lumber post-and-beam construction. The structure measure 38’x40′, with the main gable hay mow being 20′ wide and the shed addition 18′; the height was 28′ to the ridge. The hay mow featured a hay hood and wooden hay rail with a metal hay trolley. An elevated wood frame granary with a metal funnel on the bottom was added to the interior at some point. Thomas Wooton Barn, “near the foot of Mt. Dallas,” San Juan Island. When the December 27, 1900 San Juan Islander reported on the burning of Thomas Wooton’s barn (“near the foot of Mt. Dallas”), they related that he and his wife “had started early in the morning for Roche Harbor and…had neglected to extinguish a lantern which he left hanging or standing in the barn. The supposition is that the lantern was knocked down or overturned by some domestic animal or fowl, thus igniting the inflammable material in the barn” (San Juan Islander 12/27/1900).